First opened in 1907 as a New Christian Science Church designed by Robert Fellowes Chisholm, the hall hosted congregations of 1400 in its heyday. However, like most other churches there was a decline in attendances and in 1996 the congregation moved to a smaller church. The property was sold but fell into disuse for several years. Cadogan Estate purchased the Hall in 2000 to safeguard its future. Through their connection with Opera Holland Park, Cadogan discovered that the Royal Philharmonic Orchestra was looking for a permanent base in London. Cadogan Hall was an excellent opportunity for the orchestra to benefit from Cadogan’s aim to bring the former church back into useful life in a manner befitting its character and civic presence. 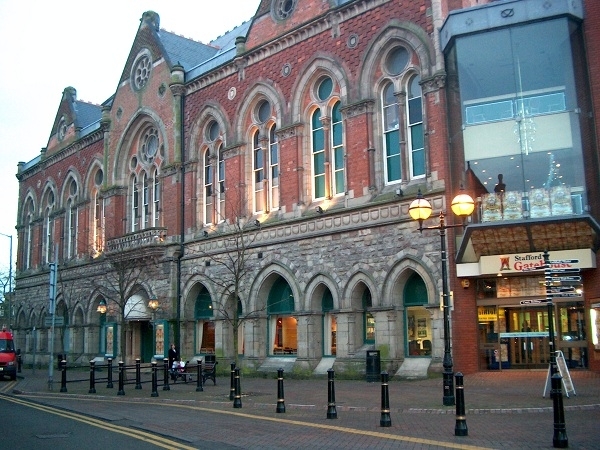 The Hall reopened as a concert hall in June 2004. On one level the conversion of this large relatively modern listed building into a performance space seems straightforward. After all, there was a ready-made auditorium with a raked floor, a stage, a proscenium and a gallery. Unfortunately modern expectations of comfort and facilities, let alone the requirements of building and licensing regulations, meant extensive and fundamental changes had to be made. The acoustic of the building was a big issue, both in terms of environmental acoustic – the control of sound break-out from the building – and performance acoustic within the auditorium. The ceiling and the roof had to be re-detailed to provide acoustic insulation. Tuned resonator tubes were installed on the main ceiling and the walls under the gallery and the undersides of the tip-up seats in the stalls also have a pattern of absorption holes to retain the Hall’s acoustic character. The new performance lighting and sound systems in the auditorium include the computer controlled theatrical lights on the ceiling. These provide lighting for rehearsals but really come into their own when they are programmed to rotate, change light beam colours and patterns and provide other special effects for performances. A large screen for films and visual presentations can be lowered and allows performances elsewhere to be relayed live by satellite or the internet. The organ installed in 1911 was carefully dismantled and put into store to await re-installation in its new home in a church in the Midlands. The organ casing, an integral part of the character of the auditorium along with timber panelling and balustrading from the platform, was also put into store. When the organ screen was re-assembled and nearly a century of dirt was removed it was found that each of the column capitals and each of the carvings around the arching balustrade are unique – a surprise discovery that added to the richness of the building. Despite the scale of the auditorium the combined effects of the stage, the steeply raked stalls and the low gallery create a surprisingly intimate venue where the audience experiences a very real feeling of being part of the performance. The stained glass was designed by a Danish nobleman. Baron Arild Rosenkrantz, had learnt the art of stained glass whilst working with Tiffany in New York. The designs for Cadogan Hall were said to exhibit “artistic simplicity of patterning and to provide efficiency of lighting and economy consistent with dignity”. There are no allegorical images and only one window has text. All the windows were removed and taken by a specialist to workshops for painstaking restoration. Although the Celtic knot motifs are simple and the use of colour restrained, the dramatic effect of the restored glass was another pleasant surprise during the refurbishment process. A new home for live music, creative events and club nights in London Bridge’s newly refreshed railway arches. With the sites heritage seeped in a background of music and late night parties, OMEARA will be carrying on the baton with a lovingly curated line-up of events, put together by the good people at Communion Music. They will be providing a creative events space for everything from the best emerging live acts to renowned DJ’s right in the heart of London. Their pop-up friends in the arch next door offer a huge variety of top quality food. You can grab yourself a bite to eat, visit them at the bar, get a booth with your friends or come and check out the show that night. Just a stones throw away from King's Cross/St. Pancras station lies one of the oldest church sites in the UK dating from the 4th Century. This is a working church but on some evenings the church hosts live music. Some great musicians have played here and along with the Union Chapel and Green Note is probably one of most musician's favourite London venues to play. 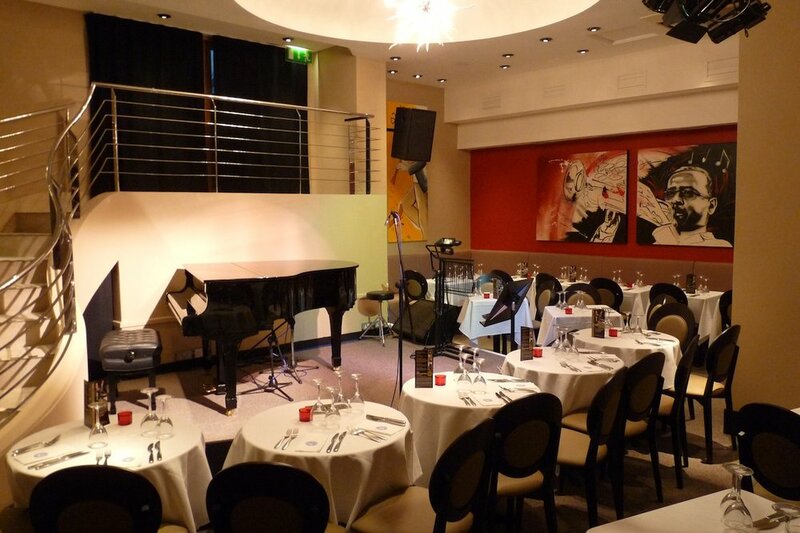 With a maximum capacity of 150 it's cosy, intimate and almost perfect for acoustic music. Music Type: Jazz and acoustic acts as well as cabaret and other events. The Pheasentry is a beautiful and historic building is located in the heart of the fashionable Kings Road. The grand entrance leads into a lovely large terrace garden which is ideal for al fresco dining during the summer months. The venue is located in the basement and reminds us of cruise ship, with a sweeping staircase located behind the stage. If you fancy some food, it is a Pizza Express as well. 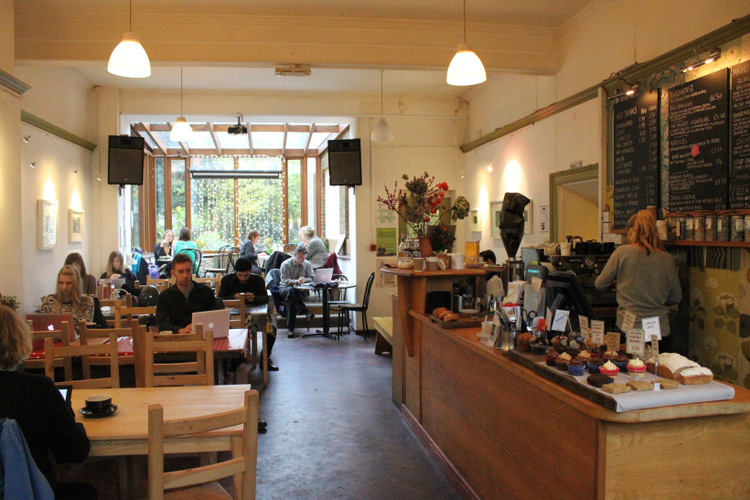 The Kitchen Garden Cafe is a tranquil oasis in the heart of Kings Heath. By day this Cafe serves delicious home-cooked food, Fairly Traded coffee & tea and homemade cakes & pastries. All with a nod to local and ethical sourcing. They cater for Vegetarians, Vegans and dietary issues. On Sunday to Wednesday evenings we host the best music acoustic music in the City, specialising in Folk, Roots and Americana. On Thursday-Saturday evenings we host Pop-Up Restaurant events and are also available for private functions, weddings and parties. Are you interested in playing at The Greystones? They don’t book gigs directly at the Greystones. but they work with some excellent local promoters. Please email them if you are looking to play a gig and if they are interested they will get back to you. Type: Victorian theatre for professional and amateur shows, including Shakespeare and children's plays. Capacity: Gatehouse Theatre 541. Met Studio 150. Stafford Gatehouse is an accessible, thriving venue which offers you a wide range of modern facilities in the heart of Stafford. From conference facilities to studio theatre, recording space to restaurant, Stafford Gatehouse is one of the best equipped and most versatile venues in the region. We also have a range of technical equipment for outside hire. The facilities operate both during and outside office hours and are available at weekends (Sundays limited). Well located between Birmingham, Nottingham and Manchester, Stafford is amply served by road and rail, with parking just two minutes’ walk away. A map showing directions and car parking is available upon request. The Gatehouse Theatre can be adapted to seat up to 541 and is equipped with the very latest lighting and audio equipment. The Malcolm Edwards Theatre Studio is a 150 capacity theatre, totally flexible and again equipped with the very best sound, lighting and back-up equipment. The seating is completely adaptable and can be assembled in a variety of ways to suit any requirements - end stage, in the round or cinema style - and it can also be used as a recording studio. Just a short walk from Bedford Town centre (slightly longer from Bedford Station) is a great music venue which is joined to The Gordon Arms. This 100 seater is a little gem with great sound and atmosphere. There are also monthly concerts which run by Michael Pipe and these are highly recommended. Just a short walk from Highbury and Islington station, the iconic Gothic style Union Chapel is one of our favourite London venues. It was the winner of 'Time Out's' favourite London music venue of the year for two consecutive years and for good reason. It is a beautiful music venue. 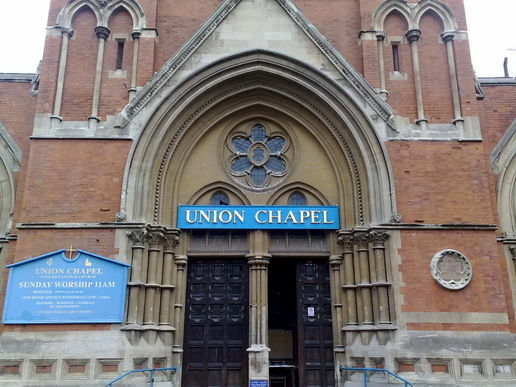 The Union Chapel hosts a variety of music and comedy nights and has a variety of rooms to hire including the church itself. The Union Chapel is one of London's most characterful venues. 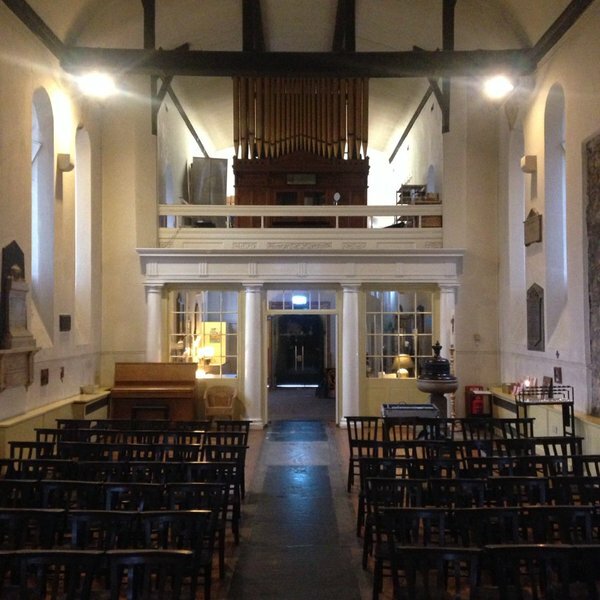 A typical gig here involves sitting on a church pew (bring a jacket or jumper for a cushion), drinking tea from a mug whilst enjoying great music in one of London's most beautiful churches. For atmosphere it cannot be beaten. As you enter the Union Chapel you can literally grab a pew and wait for the gig (seating here is unreserved) or you can head back to the back of the church where there is a full licensed bar on the first floor. The bar also serves home cooked hot food, with proceeds going to help the Chapel's 'The Margins Project'. No alcoholic drinks are allowed in the chapel, but you can buy hot drinks, soft drinks, ice cream and snacks from the kiosk in the chapel foyer. The interior of the church is beautiful, with the ground floor being a large octagonal shape with a balcony wrapped around above, all stone arches, stained glass windows and the like. The domed ceiling and stone walls mean the acoustics are superb, and every act I have seen here sounded fantastic. I would recommend getting here early enough to get a seat downstairs, as you feel a little bit further away from it all upstairs. Top tip (1) Seating is unreserved so arrive in good time before doors open (2) They have lovely hot chocolate too....with marshmallows and cream...yum! Very important for winter gigs (3) Bring a cushion as the pews can be a little hard or of course you can join the Union Chapel and they will lend you one. The Slaughtered Lamb is a famous pub music venue a close to the City. It's gigs are held in the basement. The Lamb is a very intimate space and is great for acoustic music. Many musicians have chosen to release their EP's or albums at the venue. Try the craft beers as well, they are very good. A two minute walk from Dalston Kingsland station on Bradbury street you will find the cosy and intimate Servant Jazz Quarters. Despite the name, they are not strictly a jazz club. SJQ has a history of hosting music events before opening as a fully licensed venue in February 2011. SJQ is dedicated to music from many genres and supports innovative artists from all backgrounds and particularly those from the Hackney area. The music program varies from night to night so you will need to check the website for updates on gigs and events. Expect an eclectic mix of music ranging from jazz, blues and folk to pop, world music and beyond. Capacity: (TBA) Mix of standing and seated. 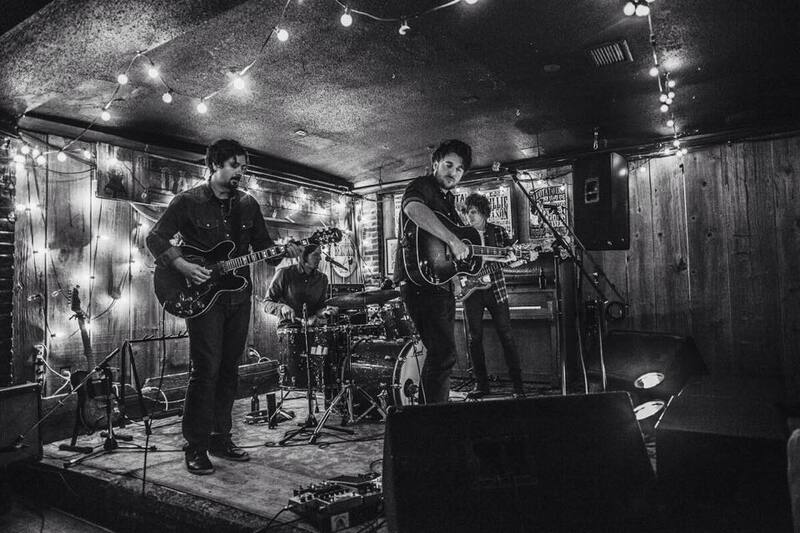 The Lexington is one of Islington's finest music venues and lounge bar. A slow burning glow of downbeat decadence and bluesy class - with perhaps just a dash of burlesque elegance thrown in for good measure. The Lex is a short walk from Angel tube station. 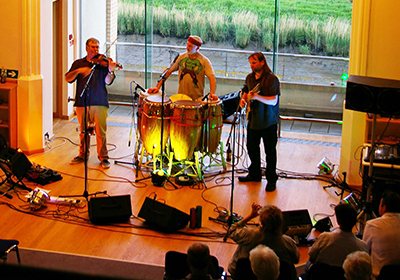 The music performances are held in the large upstairs room of the venue. Kings Place is a short walk from Kings Cross station and has two great 'state of the art' theatre style rooms for music in the basement of the building. It is worth keeping an eye on the programme as some excellent artists play at the venue. The sound is very good in both halls. Address: Islington Assembly Hall, Upper Street, London N1 2UD. Just a short walk from the Union Chapel is the very beautiful art-deco Islington Assembly. It was built in 1929 and was officially first opened on 15 March 1930. It soon became a popular venue, hosting dances and variety shows, and continued to be regularly used by local organisations, community groups and individuals for awards presentations, tea dances and weddings, up until its closure in the 1980s. It lay dormant for almost three decades, being used as extra storage for Islington Town Hall next door. In 2009, Islington Council raised funding for its restoration with a vision that it could once again be at the heart of life in the bustling north London borough. 130 people on our round tables, allowing space for a dance floor throughout. A tiered balcony seats a further 200 guests and is used at the majority of concerts held here. They offer dressing rooms for performers at gigs and performances, and they can arrange break-out areas for conferences in the adjacent Town Hall on request. The Gallery Cafe is another gem of a venue is the heart of East London. 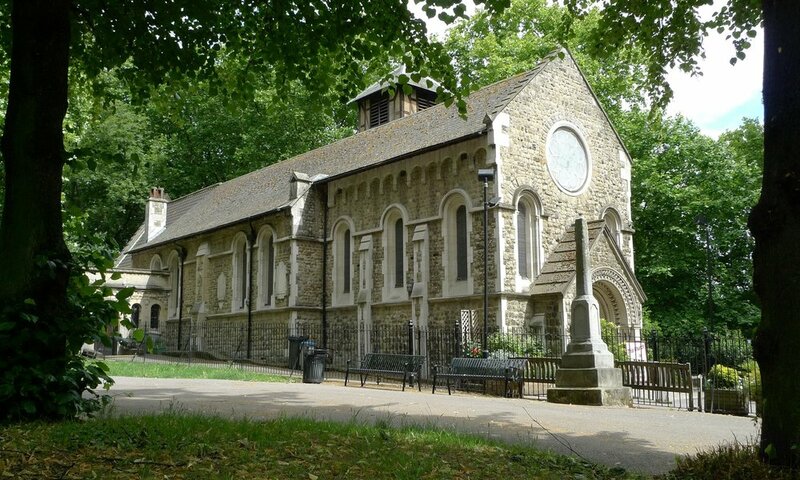 Part of the St. Margarets House Settlement, The Gallery Cafe is a short walk from Bethnal Green and Cambridge Heath stations. The Gallery Cafe offers a delicious selection of vegan and vegetarian food, an exciting program of live events, and a new art exhibition from an up-and-coming artist every month. It is a warm and cosy sanctuary during the winter months. But it comes alive in the summer with its sun trap terrace and garden, making it a great spot to enjoy all year round. They host a variety of live music nights, film screenings, comedy, and spoken word events throughout the year, as well as one-off festivals and special seasons. Most of their events are free and accessible for everyone, and those that they do charge for will always be very reasonably priced. As one of the community projects run by St. Margaret’s House, all profit generated by The Gallery Cafe goes back into the charity. So by dining with them, you are also helping to support the local community. The complex has a number of spaces including the cafe itself and a small chapel in the Settlement. Cecil's is another of London hidden music venue gems. Located in a basement of an old tea warehouse, a short walk from London Bridge Station, it is a venue full of surprises. Cecil's has a fantastic vibe and hosts some great music and comedy night. The venue is designed as a 1930's Shanghai speakeasy and once inside you feel that you have been transported to the Far East in a different era. They have great cocktails and a good selection of beers. Great music, great sound and great staff. Cecil Sharp House is the home of the English Folk Dance and Song Society (EFDSS) and also the spiritual home of UK Folk music. It contains the folk music archives in the Vaughan Williams Memorial Library, which were collected in some cases hundreds of years ago. This is a great venue and loved by the many musicians and music fans which visit each year. 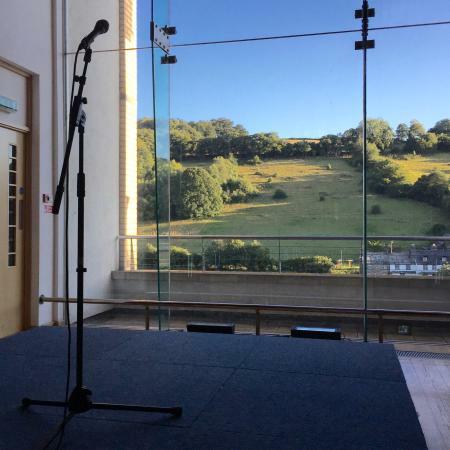 The venue has three main spaces, the two biggest being Kennedy Hall and the Trefusis Room located in the basement of the building. The venue also has a very good cafe and bar. The legendary Bedford in Balham has justifiably earned a reputation for being one of the most important and critically acclaimed venues in the country. With a passion for performance, The Bedford is dedicated to discovering, developing and promoting the very "best of the best" in emerging acts, breaking artists and established performers. With its three floors, five bars and five function rooms, the Bedford is a large venue. They also has hosted the legendary Banana Cabaretcomedy club for over 25 years every Friday and Saturday, as well as more recently a New Acts comedy night.